United TravelBank Credit Card: Should United Travelers Apply? A decent all-around credit card, though it lacks flexibility. United customers may want to consider other United-branded credit cards or a better cash back offer. 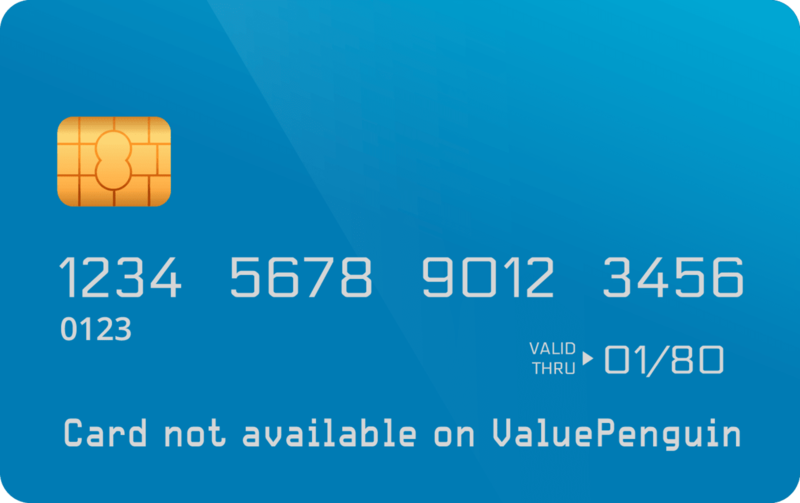 The information related to the United℠ TravelBank Card has been collected by ValuePenguin and has not been reviewed or provided by the issuer of this card prior to publication. The United℠ TravelBank Card is a decent no-annual fee rewards card for United travelers who want a United card with no annual fees. The other United credit cards come with better rewards, though the cheapest one will cost you at least $95 per year. If you don't fly too often with United, we recommend getting a 1.5% or 2% fixed-rate cash back credit card instead. How Does The United℠ TravelBank Card Compare? Review: Is The United℠ TravelBank Card Worth Getting? The United℠ TravelBank Card is a slightly worse version of the 1.5% cash back credit cards that have been popular in recent years. We say it's slightly poorer because instead of giving you pure cash back, it gives you TravelBank cash rewards which can be used for booking United flights. If you aren't particularly loyal to United, and prefer more flexibility, we recommend going with a general purpose cash back credit card with high reward rates instead — like the Citi® Double Cash Card or the Chase Freedom Unlimited®. The best part of the United℠ TravelBank Card is the fact that it earns 2% back on United purchases and gives 25% discounts on purchases of in-flight meals and beverages on United flights. These are the only United-specific benefits this card offers. If you want free checked bags, United Club passes, or priority boarding, you'll have to look to one of the other two United credit cards instead. It's important to understand the rewards you get through the United℠ TravelBank Card are not United miles. Therefore, using this card does not help keep your United miles from expiring. We detail how this works in the benefits section below. Bottom Line: The United℠ TravelBank Card is the only no annual fee credit card co-branded with United. That, coupled with the fact that it provides good fixed-rate rewards makes it worth recommending. However, if you're after greater flexibility or are a die-hard United fan, we suggest you look at other options. The United℠ TravelBank Card earns its users TravelBank cash with every purchase. This currency is not related to United MileagePlus miles, though it can be used towards the purchase of United flights. Cardholders earn 2% in TravelBank cash on all United purchases, and 1.5% back on everything else. Additionally, you get 25% back as statement credit after you use your United℠ TravelBank Card to pay for food and beverages onboard United-operated flights. Enjoy 25% back as a statement credit on purchases of food and beverages onboard United-operated flights, when you pay with your United TravelBank Card. TravelBank cash is easy to use. $1 in TravelBank cash = $1 when used toward the purchase of a United ticket. Your TravelBank cash accumulates in your United TravelBank account on United.com. There's no limit to how much TravelBank cash you can earn. The card is currently running a bonus, wherein those who spend at least $1,000 on purchases in the 3 months of account opening receive $150 in TravelBank cash. Keep in mind that this bonus can only be achieved through purchases. Taking out a cash advance or performing a balance transfer do not count towards helping you reach that $1,000 minimum spend. Earning TravelBank cash does not stop United miles from expiring. Unlike earning miles through the other United credit cards, TravelBank cash is not tied to your mileage account. Therefore, if there is no miles activity on your mileage account for 18 months, your miles will still expire — even if you're using your United℠ TravelBank Card. Your TravelBank cash will not expire so long as there is qualifying account activity and so long as your account remains in good standing. You can lose your TravelBank cash if you don't make the minimum payment on your account within 60 days of the due date, file for bankruptcy. You can read more about the reward programs terms and conditions here. If you are collecting rewards to pay for business class travel, you should be using a credit card that earns you United miles, instead of TravelBank Cash. A single United MileagePlus mile is worth more than United TravelBank Cash. With the former, you get a value of $0.01 per point, with no flexibility. With United miles, however, the value of your rewards depends on how creative you are with your redemptions. We found certain business flights to South America could get you as much as $0.024 per mile. Economy seats are usually less valuable, however on average they will still outperform TravelBank Cash. How Does The United℠ TravelBank Card Compare to Other Credit Cards? Whenever a new credit card comes out, it's good take a moment and consider how it fares against other existing options. We compared the United℠ TravelBank Card to existing airline and cash back cards to better assess its value. The United℠ Explorer Card is sure to be better for United flyers who travel with a companion and check their bags on at least one round trip flight per year. The primary cardmember and one companion traveling on the same reservation will each receive their first standard checked bag free on United-operated flights when purchasing tickets through this card. You also get other United-related benefits, like priority boarding and 2 United Club one-time passes each anniversary. The United℠ TravelBank Card lacks these types of loyalty benefits. The one benefit to give United℠ TravelBank Card is the fact that it has no annual fee. Therefore, if you don't care for the benefits we outlined above, but still want to save money on United flights, this is a good option. If you have a United℠ Explorer Card that you no longer have much use for, you may be able to get it changed to a United℠ TravelBank Card account by calling Chase. The Chase Freedom Unlimited® will be better for consumers who value flexibility and don't have any strong commitment to flying with United. The card awards 1.5% cash back on all purchases, no matter the category. New cardmembers can also earn 3% cash back on all purchases in the first year for up to $20,000 spent. This is actual cash back, unlike the TravelBank cash you get with the United℠ TravelBank Card. The upside to this is that you can find more opportunities to actually make use of your points. What you'll have to give up is the 25% discount on in-flight meals and the 2% rewards rate on United ticket purchases. If having a more flexible rewards program is worth more to you than these two benefits, the Chase Freedom Unlimited® is the right choice for you. It should be noted that the Chase Freedom Unlimited® is part of the Ultimate Rewards family of credit cards. If you were to ever also to sign up for either the Chase Sapphire Preferred® Card, Chase Sapphire Reserve® or the Ink Business Preferred℠ Credit Card, you could transfer your points to any number of airline and hotel programs, including United. The downside for some will be the fact that those other cards come with annual fees, making them only useful for high spenders.